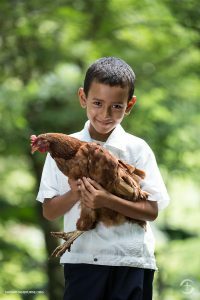 If you are looking to support relief operations around the world, Samaritan’s Purse is an excellent option. Relief operations are just one of the kinds of things that this organization does. Many relief organizations don’t share the gospel. Like other organizations we highlight, Samaritan’s Purse meets physical needs in order have the opportunity to share the gospel. This organization is represented by Franklin Graham, the son of Billy Graham and they are committed to keep the message of Jesus a primary focus in their efforts to help those in need. Samaritan’s Purse has built a top notch operation that serves those with all kinds of needs, all around the world. They are also the power behind Operation Christmas Child. That’s the group that organizes volunteers and resources to pack and send thousands of shoe box gifts around the world every year for Christmas. 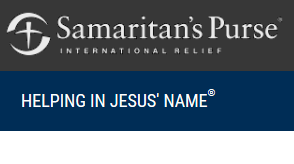 Samaritan’s Purse not only puts feet on the ground after a natural disaster, they help the poor by making a way for us to help provide for their physical needs. They publish a catalog of items that you can buy to help those in need. God continues to use Samaritan’s Purse to inspire us to give as well.